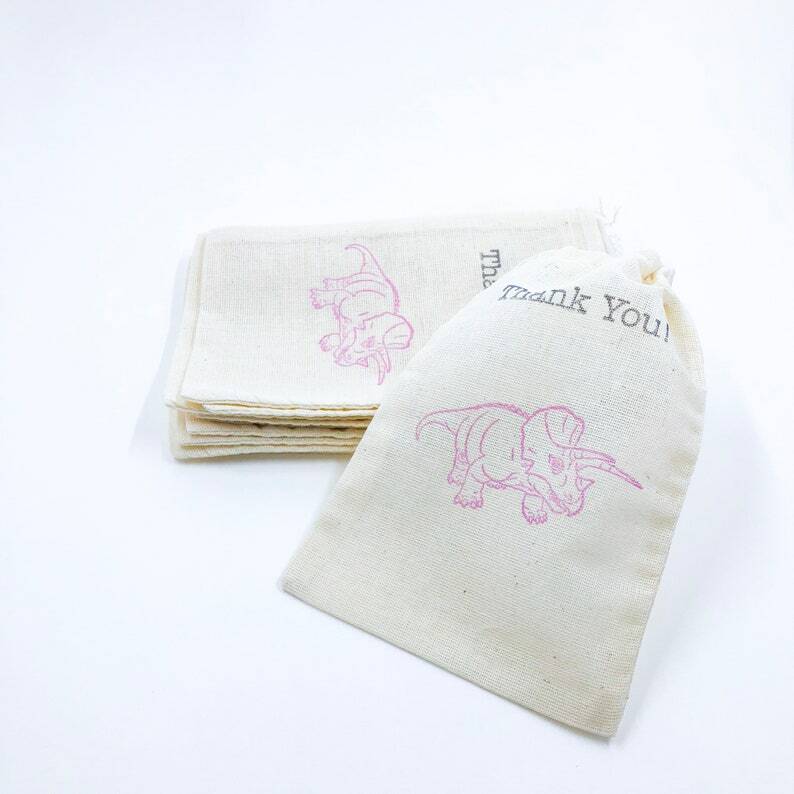 Set of 11 black thank you with pink Triceratops favor bag. Perfect for any occasion. Bags measure 4 X 6 inches.